Note how this is different from the RoboCop approach. RoboCop was a man subclassed and extended. The whole RoboCop project involved dozens of surgeons who extended the man’s brain into a fighting machine. This is the approach taken with many object-oriented frameworks. 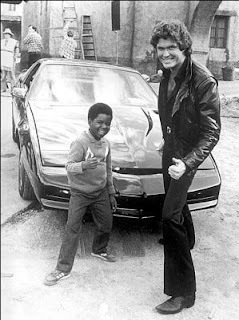 While approaching the perimeter of an arms dealer’s compound, Michael Knight would speak to KITT over his watch-radio. “KITT,” he would say, “I need to get to the other side of that wall.” KITT would then blast a big hole in the wall with a small rocket. After destroying the wall, Kitt would return control to Michael, who would stroll through the rubble. From the book: Cocoa Programming for Mac OS X by Aaron Hillegass.